English: Abernodwydd Farmhouse, Museum of Welsh Life. 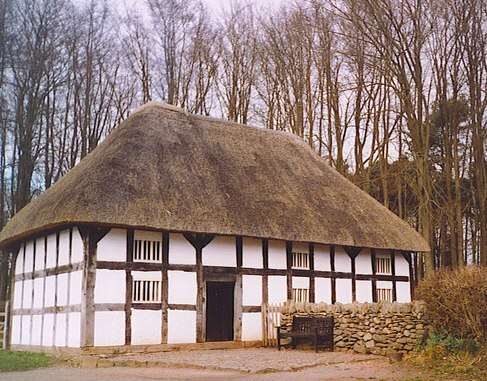 The thatched farmhouse was built in 1678 at Llangadfan, Montgomeryshire (Powys). Clay and hazel rods fill in between the timbers.